Come join runners from all over the country in this prestigious event – and show your friends and family that you are "Tough Enough"! Are You Tough Enough? 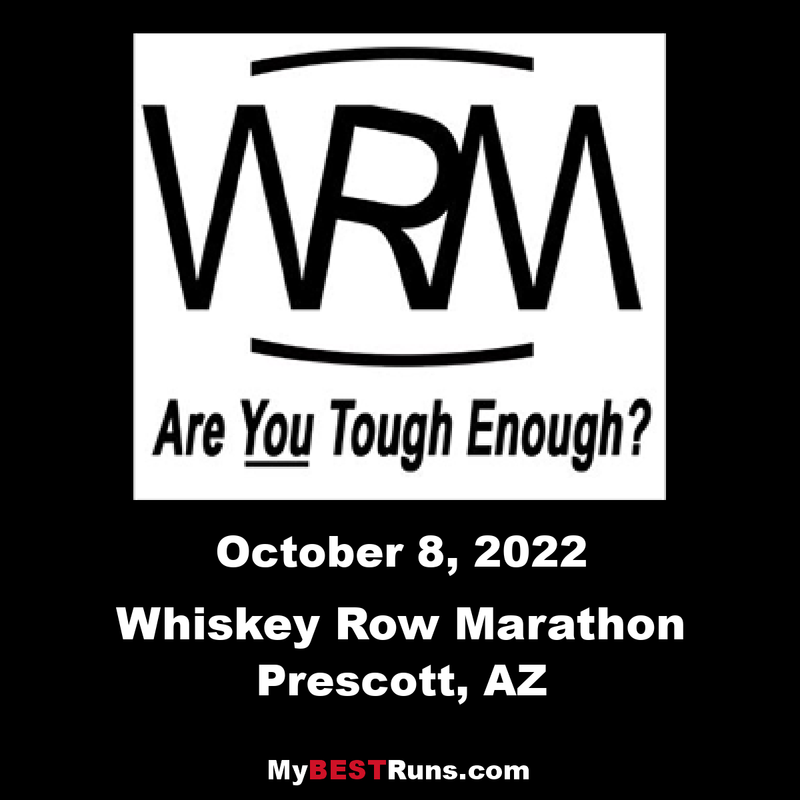 As an Arizona running tradition for 41 years, the Whiskey Row Marathon is among the toughest races in the country. Featuring rugged terrain, an altitude in excess of one mile above sea level and, on occasion, snow. It's challenging, fun and offers a number of running routes for runners of all skill and fitness levels, including a marathon, half marathon, a 10k and a two-mile fun run. Proceeds from this race will go directly into the scholarship fund at the Prescott YMCA. This fund provides families in financial need to participate in childcare, swimming lessons, youth sports and gymnastics classes. Your participation in this race not only promotes your personal health, but also promotes the overall health of the Prescott Community. Billed by the race organizers as “one of the toughest marathons in the United States,” Prescott’s Whiskey Row Marathon, Half Marathon & 10K (and 2-mile Fun Run) features a course that definitely lives up to its reputation, with a steep climb from the starting line to the half-way point in the race of roughly 1,000 feet in elevation. The marathon goes 5000 to 7000 feet elevation.